Wikipedia Backlink Finder is a software tool that allows users to find powerful Wikipedia backlinks to help boost their websites up the Google rankings. Backlinks are still the number one ranking factor in Google's 200+ ranking factors. Now I know what you are thinking... "but wikipedia links are no follow, only do follow links help boost your rankings!?". While this may be true in "general", there appear to be exceptions to this rule. Lets take a look at what google say themselves. "In general, we don't follow them. This means that Google does not transfer PageRank or anchor text across these links." There you have it. In general they don't follow them, which means sometimes they do. Which makes sense because if you have one of the worlds most most authoritative websites where 99.9% of its outbound links are no follow some weight should be given to these links either in the form of page rank or general site authority. Many case studies align with this school of thought. Another theory is that Google has evolved past the simple rules of do follow and no follow with machine learning and knows that aged links on wiki pages link to credible high quality websites.Power LSI Finder is a desktop application that allows users to enter their niches keywords and Power LSI Finder will scrape Google in the background finding all the websites (up to 500 deep) that rank for that keyword. Once these websites (Google results) have been scraped it will crawl them all extracting their article content. Once its collected all this information it will aggregate all found LSIs from single 1 word LSIs to long tail 4 word LSIs. It not only does this for the content of all these websites it does it for the headers (h1 through to h6), keywords, title and description also. This is an extremely powerful keyword tool. 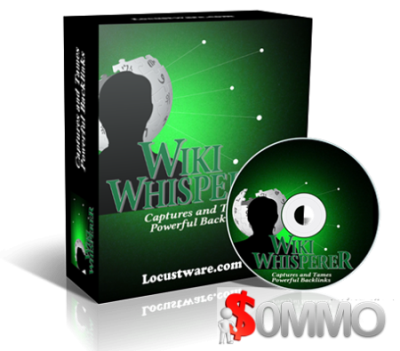 Wiki Whisperer is a tool that I classify as an advanced video marketing tool even though it’s simple to run and understand and has nothing directly to do with videos. In short what it does for us is find ultra powerful backlinks Opportunities. Google loves Wikipedia and if you have direct backlinks from Wikipedia and Google automatically trust and treats you as an authority so it’s for true insiders in video marketing. What the software does for us is gives us domains that have direct links from Wikipedia pages where the domain has expired and can be picked up for the cost of a regular domain. WikiLink Jacker is premium authority backlink building and power content curation software that will grab your subscribers high PR backlinks from one of the hardest sites to get a lasting backlink on. That’s Right, I’m talking about WIKIPEDIA. Plus, build awesome unique content that is even safe to use on your money sites in minutes. When I showed my own subscribers how to do this trick manually, I got MORE excited email replies than on any other technique I’ve ever taught. And the software makes it even easier. WikiRobot is the best and the most complete wiki solution on the market.It's a Wiki posting software that will create backlinks to your website in a matter of minutes. Generate Guaranteed Whitehat Backlinks,Page 1 Rankings and dailyFREE Traffic, at the Push of a Button! Your competitors won’t even know what hit them…they’ll just quietly fade away from top results while you dominate the page 1 for even the most competitive keywords.